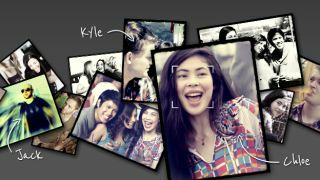 Facebook has added another photo-based application to its arsenal, with the purchase of popular facial recognition service Face.com. The website, most famous for its free KILK iOS app, already links-up with Facebook by picking out the mugs of your pals and suggesting tags before uploading snaps to the social network. That functionality is now likely to be integrated into Facebook's own mobile apps, including the recently-released Camera add-on for iOS, although that's just an assumption at this stage. KLIK also features a host of Instagram-like filters that can be applied before uploads take place and also has an API that's been used by a host of third-party app developers. Following months of courting each other's affections, it's thought that the social network has splashed out up to $100m (£60m) for Face.com. That's a fraction of the $1 billion in cash and shares the company doled out to take ownership of Instagram earlier this year, but still remains a considerable chunk of change. In a post on the Face.com blog CEO Gil Hersh says: "We love building products, and like our friends at Facebook, we think that mobile is a critical part of people's lives as they both create and consume content, and share contentwith their social graph. "By working with Facebook directly, and joining their team, we'll have more opportunities to build amazing products that will be employed by consumers – that's all we've ever wanted to do." The acquisition, which Facebook is yet to comment on, will massively boost its mission to become the number one - both numerically and functionally - photo sharing destination on the web.